It’s a time of uncertainty for those who want to become residents of Turkey. It was announced some time ago that new regulations would come into force around April 11 and that everyone making a first application would have to apply in their own country. So far, we understood. But this did pose challenges. For example, to obtain residency you need to show proof of having somewhere to live – a rental agreement or tapu (property deeds). Under the proposed system, rather than simply travelling to Turkey on a tourist visa, finding somewhere to hang your hat and then popping down to the Passport Polis (as many people do) you’d have to come back to the UK and hang around for up to 90 days. Surely there was a way of working round this? Unfortunately, the Turkish Consulate had no answer to this or any other of the questions those of us planning to move had (and still have). They were seemingly unaware of the changes and simply told everyone they still had to apply in Turkey as usual, while the Turkish authorities said people should make appointments at the Consulate. The result was a lot of wannabe ex-pats running around like headless chickens trying to find out what on earth was going on, what they were supposed to do and when they were supposed to do it. Come D-Day and some polis stations refused new applications for a while, which caused particular problems for those on tourist visas about to expire. It was announced there’d be a delay before the changes were introduced; then that there’d be a “transition period”. So does that mean business as usual for now? Er, no. One British applicant reports that some of the new requirements are now in force, such as having to provide a translated copy of your passport. But someone else says their local polis aren’t bothering with that bit. Official notification has been woefully lacking and the upshot is that we’re all as much in the dark as ever. Which is why I’m glad I got my own residency sorted out a couple of months ago. But we still need to sort out two other members of the family, and I’m not sure what to do for the best. My ‘final’ flight out is booked, and I need to arrange theirs too. Do I just go ahead and trust that they’ll still be able to apply in Fethiye when the time comes? What if they can’t and have to come back again to apply in London – missing most of the summer and with nowhere to live? Do we hang on to see what happens next and run the risk of them not getting a flight around our chosen dates? It’s hugely frustrating but very typical of the country we want to call home. Disorganisation, miscommunication and lack of information are very definitely its bureaucratic strong points. Time to grit our teeth and remind ourselves – this is life in Türkiye…. This entry was posted in Moving abroad, Planning and preparation and tagged Fethiye, London, moving to fethiye, Passport Polis, Türkiye, Turkey, Turkish Consulate, Turkish passport polis, Turkish residency, Turkish residency laws on April 22, 2014 by theparsleys. So another month has gone by…. So much has happened and yet there’s so much still to do! 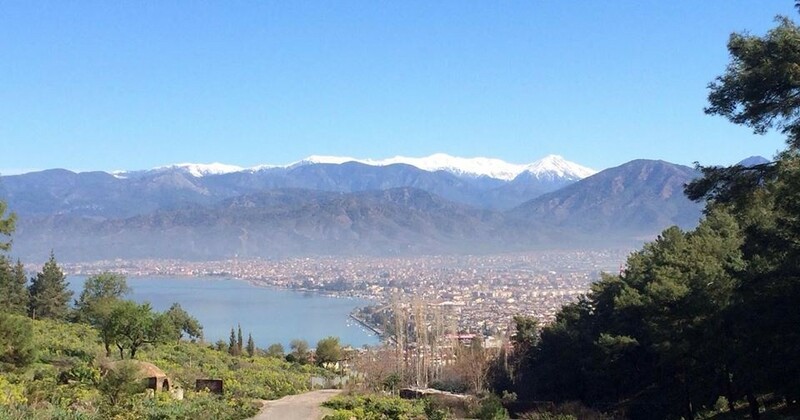 I’ve been back in Fethiye for two weeks, the aim being to get the house ready and make sure we’ve got services like internet and electricity in place. I also wanted to apply for my residency permit, so that at least one of us can come and go as necessary. I expected to have tales of a long and tortuous process to tell, based on what I’d heard from others. But, yet again, my Turkish heroes rode to my rescue – and it proved so simple as to almost be an anti-climax! We collected the list of what was needed from the Passport Polis office and returned just an hour later with the necessary admin and paperwork completed. Handed it in, along with my passport, and received a slip of paper to help locate my documents when I returned. Job done. It’s amazing what happens when you have people who know where they’re going and who the need to see. For those that aren’t so fortunate, you can hire people to help make it equally straightforward. (I’m not sure so don’t quote me, but I think it’s about 150TRY.) You can also, of course, do it yourself – but it can get complicated. On the day I collected my permit, a fraught-looking American lady returned for the fifth time trying to put in an application for her son. On each occasion, there was something just not quite right and she was nearing the end of her tether. No matter which route you choose, remember you need five passport-style photographs of yourself – they will take them all but for some reason you’ll get one back with your permit – and a photocopy of your most recent bank statement, showing you’ve got sufficient funds to support yourself. I’d read initially that you needed a Turkish bank account in order to get residency, but that’s not true. In spite of my earlier post, my optimism proved somewhat premature and, more than two months later, ours still isn’t up and running. It would have been quicker to do it in person. However, for residency purposes, a UK account with a lump sum in it was fine. I was thrilled to collect my little blue permit that said I was entitled to stay in Turkey for three years (assuming I don’t break any rules!) and I’m rather looking forward to the next time I come through Turkish passport control! This entry was posted in Planning and preparation and tagged Fethiye, moving to fethiye, moving to Turkey, Passport Polis, residence in Turkey, residency in Turkey, Turkish residency on March 19, 2014 by theparsleys. I had a bit of an anxious moment earlier this week which seems (crosses fingers) to be unfounded. After checking our passports, I realised that our daughter’s expires in May 2015. I’d read that in order to get a 12-month residency in Turkey, you needed 14 months left on your passport – which means we’d need to apply for hers in March next year at the latest. As that might not be possible, we obviously need to renew it first. Except when I looked into it….. Well, to me at least, this page on the Government website makes it pretty clear. You can’t renew a child’s passport until there’s nine months or less left on it. That means we can’t renew until September 2014. Hence the panic. She wouldn’t have enough time left on her passport to qualify for residency, but her three-month tourist visa would have expired before we could get the renewal. I decided to call the Passport Office. After all, we can’t be the only family that has ever been in this situation. The chap I spoke to was lovely and I can’t fault the service. He told me that I can apply for her new passport any time and they’d add on up to nine months, the same as for an adult document. “You’re sure?” I asked. “Even though she’s under 16?” Yes, he replied. It was something that a lot of people got confused about. Having looked at the website, I’m not surprised. It’s certainly how I read it. But as it seems my fears are unfounded, I’m headed for the Post Office this weekend to pick up a renewal form. Might as well get it done quickly while turnaround times are shorter. The next task might prove more difficult, though. I need to persuade my daughter to get her hair out of her eyes in order to get an acceptable photograph taken…. Wish me luck. This entry was posted in Planning and preparation and tagged passport, passport renewal, Post Office, residency in Turkey, Turkey, Turkish residency, UK government, UK passport, UK passport application, UK Passport Office on November 22, 2013 by theparsleys. It’s beginning to feel a little more real now. Even though we’ve been talking about this for a while and have started to tell people what we’re up to, it’s still intangible. “Next summer” is a long way in the future. But because we’re putting firm plans in place, it’s suddenly more immediate. We’ve had a meeting with our accountant to ensure the business is all set up correctly and can continue to provide an income. We’ve got together with the web designer to talk about how we need a new site to reflect the changes. It’s all rather exciting, to be honest, and it’s great to have this adventure taking shape in our minds properly, rather than remaining as some kind of ethereal spirit that it would be quite nice to grab hold of at some stage. One thing that does remain a concern is the law change around applying for residency. The new rules – or costs – still haven’t been confirmed, but the basics seem to be that, after April 1, you have to apply via the consulate in your own country and you can only get one year, maximum. We’re wondering whether it’s worth rushing things on a bit so that at least one of us can get in ahead of the deadline….but then there may be other implications for us given we’ll be seeking family residency. Another thing to investigate, and a very helpful person on one of the online forums has provided a contact who should be able to help. Watch this space…. This entry was posted in Early days, Planning and preparation and tagged family residency in Turkey, moving abroad, moving to Turkey, Turkish residency, Turkish residency laws, web designer on November 18, 2013 by theparsleys.